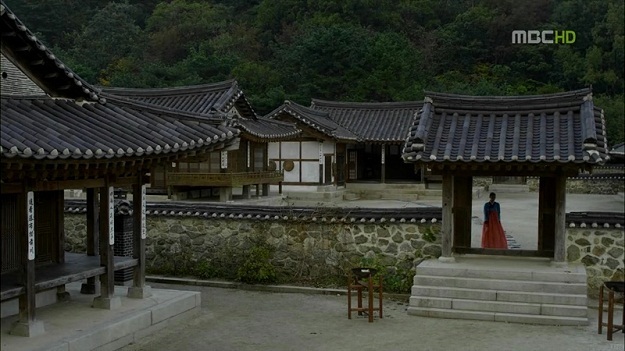 Both hanok and the palaces are commonly shown in the sageuk. Although the characters don’t really stay indoors or nearby their houses most of the time, the important talks and secret sharing sessions always take place in the houses. 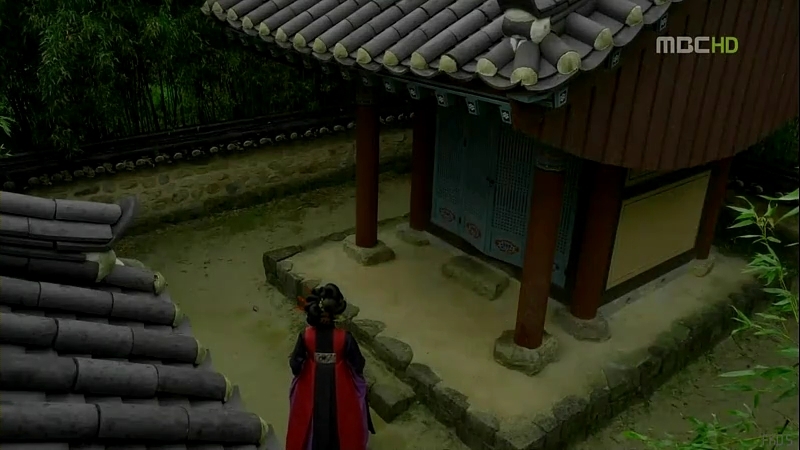 It’s a different story if the sageuk centers around the king or the royal families, where the story will take place mostly inside the palace. This is based on this informative article on Hanstyle and this concise article on Netkoa. I just rephrase it for simplicity purpose and matches it with some reference to several sageuk to make the explanation clearer. There are several types of hanok that was popular during Joseon Dynasty, depending on the types of materials used to make the roof. This is because the cost of producing the roof reflects the status of the owner of the hanok. 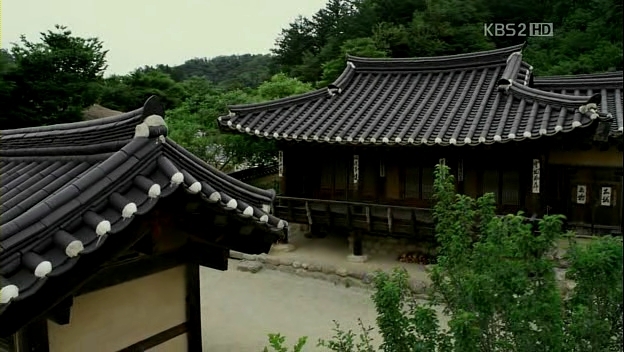 Tile-roofed hanok was popular among the noblemen or yangban. This was because to have a tile-roofed house meant the owner had to bear all the cost involving the production of the roofs, from the raw materials until the baking and covering process of these tile roofs. The cost wasn’t a mere amount of money, hence only the noblemen such as the government officials and scholars and also the rich middle class such as merchants could afford to build a tile-roofed hanok. Straw-roofed hanok was the type of house that is common in sageuk. It was made from straw, the same as a house with thatched roof. 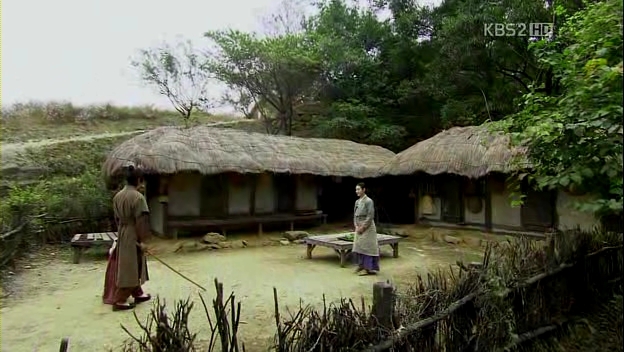 Straw was affordable for most of the people in Joseon Dynasty, hence it was a good choice to be made as their roof. Other types of hanok includes reed-roofed hanok, shingle-roofed hanok, oak bark-roofed hanok, log cabin, and magpie-holed hanok. It varied according to the geography of the house location as the weather was an important factor in determining the type of a house that’s suitable to be constructed at a particular place. Moving on to the important parts of a hanok. Although hanok is a house where a family lived in, different parts of hanok served different purposes to the people living inside the house. Since Joseon Dynasty was heavily influenced by Confucianism, even the way of living for the people followed the teaching for Confucius. Hence, men and women stayed in separate places inside the house. There were several types of gate in a hanok. First was the main gate. It served as the main entrance to a house and also displayed the power of the owner. Some houses had large main gates while the commoners would opt for a small gate just to mark the entrance to the house compound. The middle or inner gates were the gates used to separate different buildings of the house. The walls of these gates were usually built lower than the height of the main walls surrounding the entire house. The side gates were used by the servants to move in and out of the house. They were small and built modestly as they were usually situated far away from the main gate. A courtyard of a hanok was an important part of the whole house. It was where the visitors were received and also important ceremonies such as wedding were held. 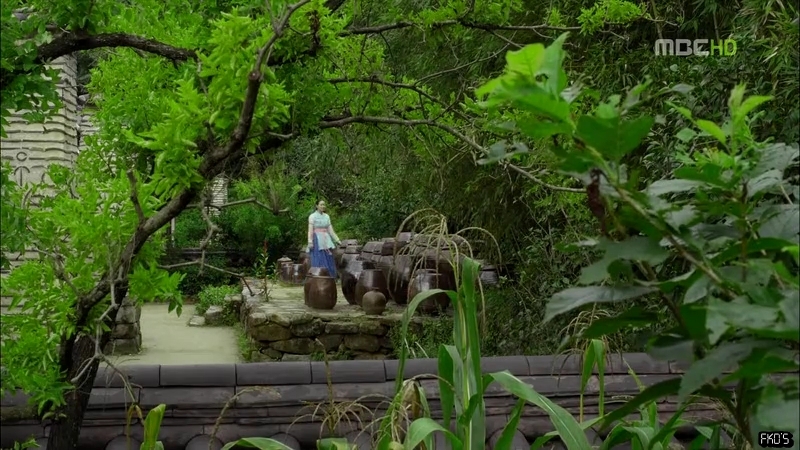 It was often observed in kdramas where there wasn’t any big trees planted in a courtyard. This was because the shape of a courtyard which resemble the Chinese character ‘口’, when added with the Chinese character of tree ‘木’ inside it would mean ‘困’ or trouble. 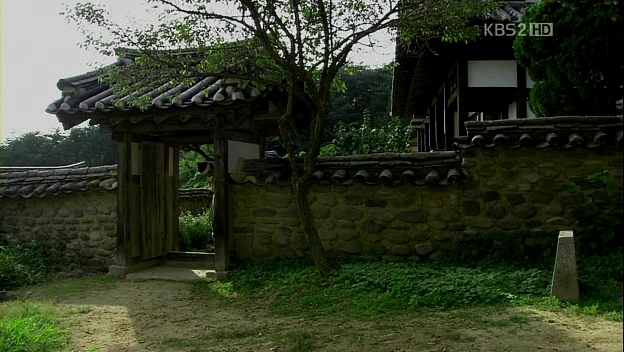 The main building anchae (안채) was the place where it belonged to the women, especially the mistress of the house. It was also called anbang (안방), which means the inner room. This explains why the mistress of the house was sometimes called anbang manim (안방 마님) or mistress of the inner room. It was the place where women of the house carried out their daily activities and it was usually connected or near to the kitchen. It was also the place where clothes and bedding were stored. The main building was located at the innermost side of the house complex as women were not supposed to mix around with men outside their family circles. The head of a family would have a special space reserved for him and it was called sarangchae . It was a detached building for the head of a family to study and receive guests. Sarangbang (사랑방), a room for the head of the family similar to a study was situated inside this detached building. An open air living room called daechung was placed in front of the sarangbang and anbang was sometimes situated across the sarangbang at the other side of the daechung. This detached building was usually situated quite near to the main gate. There were also several detached houses built for special purposes, for instance houses for the unmarried daughters and sons. These houses were usually situated behind the main building or the house, sometimes separated by inner gates. 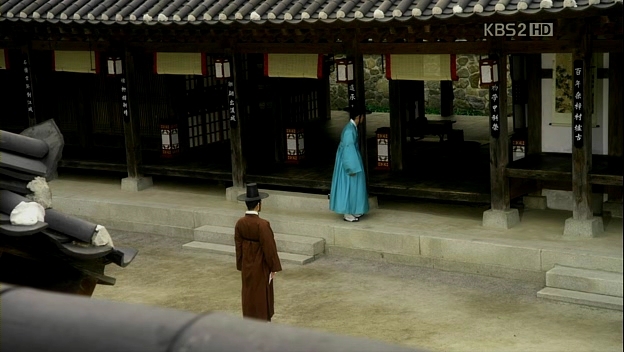 Some powerful yangban families even made a special building as a school for the unmarried sons. Unlike the head of the family who had the separate rooms for study and bedroom, the sons and daughters’ rooms served as their studies during the day and their bedrooms when the night came. They even had their meals inside their own rooms. The servants of the family also stayed inside the house compound, but in a separate building. The servants’ quarters were usually situated nearest to the main gate, as they would be the one who would open and close the gate. The placement of the servants also followed their roles in the house; the lowest class servants stayed in the outermost quarters while servants with higher posts in the house such as nanny and household manager stayed nearer to the main building. Some hanok with large courtyard would have their own warehouse building, while small hanok would have a small room to keep their belongings. The warehouse was used to store various things including the food and grains. The kitchen, where food for the household was prepared was usually build near or connected to the inner room, but some hanok had their kitchen separated as a detached building. Service room, which was situated beside the kitchen functioned as the preparation place for serving the food, such as setting the tables. The service room was also used as the place to store the tableware and foodstuffs. Big brown jars that were usually seen in the hanok compound were placed at a place called the jar stand. These jars stored the fermented and pickled food for long-time storage of food. Pastes, sauces, and kimchi were some examples of food stored inside the jars and they were put in a well-ventilated area near to the kitchen and service room for better access to these food. For the families who could afford it, a shrine was built for worshiping the ancestors’ spirit. It was usually placed farthest from the main gate and on the highest point behind the house. Ancestral tablets were placed in the shrine to be worshiped by the family. 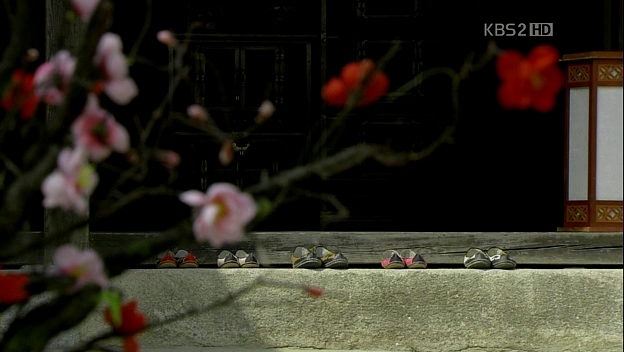 If there wasn’t any shrine built, a family would place the ancestral tablets at the daechung. This is just an introduction to hanok and I’ll add up more information when I find more about it 🙂 If you have any questions, do drop by and ask! wow, very informative, the topic on buildings always be my interest since I’m in real estate industry..
in sageuks, the foldable stand at the background of the sitting place always catch my eyes…variety of designs..
You provide so much information and I thank you, tremendously! As usual, a total learning experience! What is that table that people sit on all the time in courtyards or in modern times, roof. It is about a foot all the ground and maybe 6 to 10 ft square. I asked about it a hanok village, but the only term the tour guide could come up with was “portable bed,” which didn’t help knowing what it actually was or the purpose. they only referred it as a bench and no special term has been found. somehow it does function like a bench, the only difference is that it is bigger than the usual one. Very informative article! The bench is called 살평상.